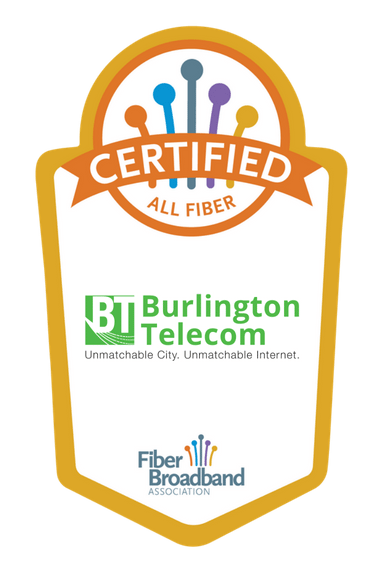 BURLINGTON, VT – Burlington Telecom is the first Internet Service Provider in New England to be awarded the Fiber Broadband Association’s (FBA) All-Fiber Certification for its commitment to ensuring their customers get the fastest, most reliable broadband available. The All-Fiber Certification is available to FBA members who demonstrate a high-level strategic commitment to fiber deployment by ensuring 90-percent or more of their networks rely on fiber optic infrastructure. Burlington Telecom’s infrastructure is 100-percent fiber optic.